Whilst we endeavour to ensure the content of our website (1accounts.co.uk) is accurate and reliable, use of this website is offered free of charge and on an “as is” and “as available” basis without any representation or endorsement made and without warranty of any kind whether express or implied, including but not limited to implied warranties of satisfactory quality, fitness for a particular purpose, non-infringement, compatibility, security and accuracy. 1 Accounts Online Ltd accepts no responsibility for any loss, financial or otherwise, resulting from the content of our website. In no event will 1 Accounts Online Ltd be liable for any damages including, without limitation, indirect or consequential damages, or any damages whatsoever arising from use or loss of use, data, or profits, whether in action of contract, negligence or other tortious action, arising out of or in connection with the use of this website. 1 Accounts Online Ltd reserves the right to change these terms and conditions at any time by posting changes online. 1 Accounts Online Ltd is not responsible or liable for the content of any external websites linked to from this site. This Policy explains how 1 Accounts Online Ltd uses information we collect and how you can limit our use of that data. • We do not collect personal information ie. Name or Address by automated methods. If you choose to supply us with your name and email address to make an enquiry, we will use this data to follow up your request for information. • We do collect information (that does not identify you) to evaluate our site and ensure that it performs appropriately. • keep track of your browsing patterns and to build up a profile of how users use the website. At 1 Accounts Online Limited we are entrusted with a large amount of personal data to store for our clients. It Is important to us that our client’s data is kept safe under our protection. HMRC guidelines state that by law we must store any data that relates to our client’s accounts for 6 years. After 6 years it is our obligation to delete any data relating to that client. For new and existing clients, once a proposal is signed, 1 Accounts are given permission to store any personal data that is required to complete the relevant work. All our software is in the cloud and so each piece of software is GDPR compliant. Please read the rest of the document for more information, if you have any questions please email [email protected] or phone 01440 844986. 1 Accounts is a family run small business. Our data controller is Jade Donno. Jade can be contacted via email on [email protected] or via telephone on 01440844986. At 1 Accounts we collect a variety of data. When a Client signs our proposal, this gives us permission to store any neccessery data. Information is requested via an encrypted form, using Jot Form. Any additional information is then requested via encrypetd email, using Karbon. Government Gateway Username and Password. As an accounting practice we have the legal obligation to store any data that helped us complete our clients accounts. This must be stored for a minimum of 6 years. No data will be stored if we do not have a signed proposal. If a client terminates their contract and wishes for their data to be removed, legally we cannot remove any data that relates to their accounts. This data will remained stored on Karbon, Tax Calc, Practice Ignition, HMRC & Companies House. HMRC – To file accounts etc. 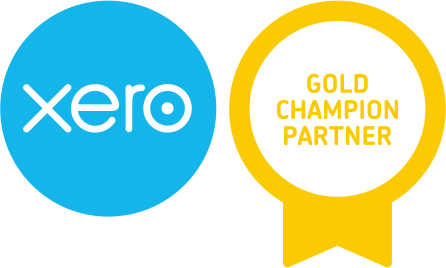 Xero – To set up an account. All these companies use either secure online portals or postal services to ensure the data is handled in the most secure way possible. The majority of 1 Accounts Online Limited’s data is stored online, however we have the following procedures in place for storing personal data within the office. Confidential post and/or hard copies of information is scanned and filed on Onedrive. This is then put in our confidential waste bin. Confidential waste is inserted into a allocated bin. This is then taken via Doxbond to be shredded and disposed of. If un-maned the office is locked. In the case of having to store a physical document, this is stored and locked in a drawer or cupboard. All of which have their own keys and locks. Each member of staff has their own Surface Book pro. These are protected via facial recognition and taken home over night. Each member of staff has their own iPhone (models vary). These are all protected via finger print and passwords. These are taken home over night. We legally have to store any data relating to our clients accounts for a minimum of 6 years. From the point of termination we will delete any data that was for internal use only. Then we must keep any data that helped us completed the job required for 6 years. After 6 years a notification will be sent and all data removed from karbon, Onedrive & Tax Calc We cannot remove data from HMRC or Companies house. Access any personal information if requested. Restrict us to use any personal information. Register a complaint with the Information Commissioners Office. Restricting us to use data may cause problems in completing the work. However we will leave a note on Tax Calc to not use this particular piece of data. If access to data is required, this can only be the individuals data. Any data regarding another individual will require written consent. If asked to delete data, this may not be possible due to our legal obligation to store data for 6 years. POST: CXG House, 70 High Street, Haverhill, CB9 8AR.